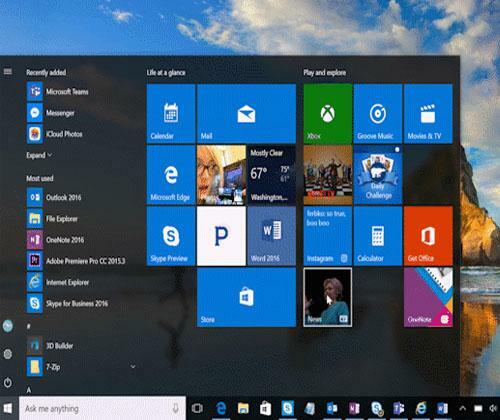 All Windows 10 users know that regular (and often inconvenient) updates take place on the OS; however Microsoft has been assuring that smaller updates will be introduced, to make the OS more convenient for users. After a while, this proposed change is finally becoming a reality, as Microsoft begins to test a Unified Update Platform (UUP) which will make a big difference. The new change for smaller updates will come into existence with the Windows 10 Creators Update which Microsoft has suggested will arrive in March 2017; however Windows insiders have begun to test the new technology in the latest build update for mobiles, which took place on November 3rd. PC builds which are launched this year will feature the new improved update, as well as HoloLens devices. This change will not benefit Xbox One devices with Windows 10, as the company’s method of distributing operating system updates to consoles is different from other devices, and means the consoles will not benefit from UUP. This change to the OS is good news for users, as Windows 10 is known to have frequent updates, which can be lengthy and inconvenient to some. It will be particularly beneficial for users when they move from one big update to another as download sizes are expected to decrease by approximately 35 percent. it will also allow the company to roll out any changes to the OS much quicker than before, so we’re expecting glitches to be substantially reduced. 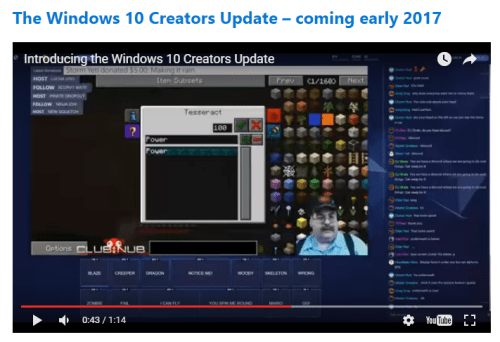 Microsoft has stated that the Windows 10 Creator Update will be coming as a free update early next year. It will be available to all the devices running the OS (currently over 400 million!) and will feature 3D and mixed reality access for everyone. “Empower every gamer to be a broadcaster, connect people faster to those they care about most, and much more”. There are many advantages to this change to the way Windows 10 updates take place, and it’s a relief that Microsoft’s promise to introduce smaller updates is finally a reality. It’s a big change for the 400 million devices that Microsoft has already updated with Windows 10, and that number is expected to grow. The decrease in download size will allow people with low-bandwidth connections to save money, which is great. This change could mean a brighter future for the Windows 10 OS, and more satisfied users overall. For more tech news and Windows 10 updates, stayed tuned on our blog.